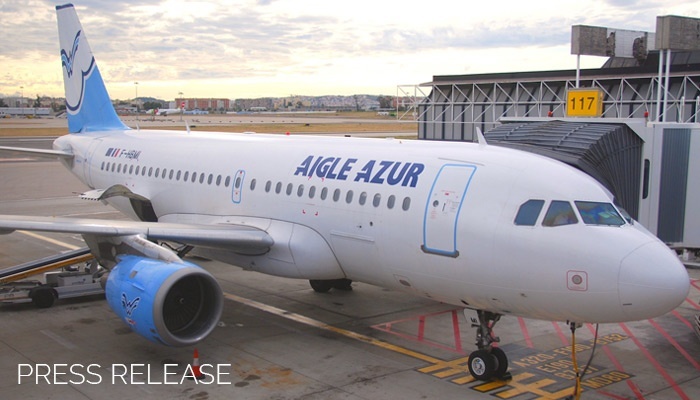 Aigle Azur use SkyBreathe Fuel Efficiency solution that gives the airline important fuel savings on its fleet. Using SkyBreathe Fuel Efficiency, airlines could save from 1% to 4 % on their fuel consumption. OpenAirlines has worked on the Clean Sky Caring project and the results are integrated in the solution from the beginning. SkyBreathe Fuel Efficiency uses innovative algorithms to analyze very quickly FDR data on all flights and give some recommendations and best practices. Open Airlines gives also consulting and a follow-up of improvements. Open Airlines was founded in Toulouse, France, in 2006 to meet the needs of airlines to optimize their flight operations and reduce their costs. Leveraging a team of airline specialists, it offers innovative software solutions to save fuel (SkyBreathe®), manage crews (CrewIntelligence™ and CrewPad™) and fleet (OptiFleet™). Aigle Azur is today the 2nd largest scheduled airline in France. Aigle Azur was created by Sylvain Floirat. Aigle Azur is now the oldest french airline with an important historical heritage. HNA Group, a leading tourism and transportation in China, entered the capital of Aigle Azur to 48% in 2012. HNA has 10 airlines operating 500 routes to 90 destinations with a fleet of 261 aircraft. HNA Group companies have taken to date 27.7 million passengers. Founded in 1993, Hainan Airlines, Aigle Azur partner, has 9 hubs in Haikou, Beijing, Xi’an, Yaiyuan, Urumqi, Guangzhou, Lanzhou, Dalian and Shenzhen. It serves 64 domestic destinations and operates 350 flights per day. From its hub in Beijing, Hainan Airlines also serves 18 international destinations in 13 countries in Europe, North America, Asia and Africa. Hainan Airlines fleet consists of 128 aircraft including Boeing 737, 767 and 787 and the Airbus A330 and A340. Hainan Airlines is one of seven companies in the world to be awarded the status of “Company 5 stars” by Skytrax under the World Airline Awards, which recognize the high quality and consistency of products and services offered by airlines .